Arrive a few minutes early for childcare check-in and to grab a cup of coffee at the Cafe. Kids programs are available during all services, & Student programs are available on Wednesdays. We know meeting someone for the first time can be intimidating, and trying a church for the first time can be nerve-racking. We want to help make your first experience at Freedom a great one! We believe that you should come to church with expectation to experience a great and amazing God. That is why we place a high premium on serving people with excellence. When you join us for a service, you’ll enjoy music that celebrates the God we love, and you’ll have the opportunity to hear a message that will challenge and encourage you. It’s a relaxed culture – a lot of fun. Come dressed as you feel comfortable. We believe that kids should have a blast at church every single week – and in gloKids, we make this a priority. The other thing we make a priority is your children’s safety. Children’s programs are offered during our services for children ages infant through Grade 5. Our vision at Freedom Christian guides all we do here. We continually work at aligning our church with what God has designed us to be. We believe the vision is God given, Biblically supported and simple. It’s three words that are packed with a ton of meaning. Here at Freedom we strive to be known as a church that is actively loving God and loving people. Our vision is to Connect, Grow, and Serve. We Follow God’s Lead: Our desire is to listen to what God is saying and do what He says. His ways are always better than ours. We Think Big: We will never insult God with small thinking. God wants us to see possibilities and dream beyond our experiences. We Live Life Together: God works in community. Much thought, care, and opportunity is given to make friends from strangers, and family from friends. Every Person Matters: Everyone has purpose and everyone has value. Because we love God, every person must matter to us. We Celebrate: We look to encourage, honor, and praise those within our church and community with regularity. Everything Is Better In Teams: Serving on a team is one of the best ways to find purpose and friendship. 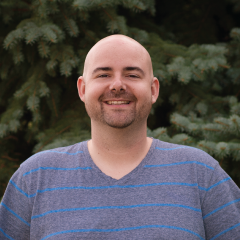 Pastor Aaron joined Freedom Christian as the Youth Pastor in 1998 and then served as Associate Pastor from 2004-2008. 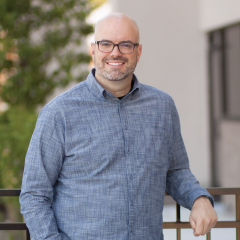 Since 2008 he has been our Lead Pastor casting vision, and driving the church to have an unforgettable impact in our communities as we connect, grow, and serve. He and his wife Jaime have been married since 1999 and have two wonderful daughters. Pastor Aaron has a heart to teach God’s word creatively and passionately. He desires to allow God to change the world through the ministries and people of Freedom Christian. Pastor Adam and his wife Cara joined Freedom Christian as the Development and Campus Pastor (Washington TWP) in 2017. 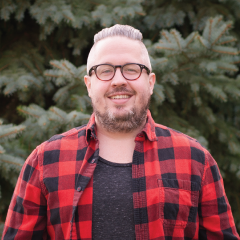 Pastor Adam has served in associate, youth and teaching pastor roles in the Detroit Metro area over his 9 years in pastoral ministry. His greatest desire is to help believers to identify their God given gifting’s, talents and passions, and then to connect them to ministry opportunities that utilize those skills and to help them to grow within those roles. There is nothing that is more exciting to him than to see people doing what God created them to do. 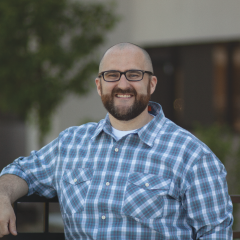 Pastor Travis and his wife Anna joined Freedom Christian as the Worship Arts Pastor in 2014. Having led worship in churches for over 17 years Pastor Travis brings a unique and strong leadership take to the worship arts ministry at Freedom Christian. Pastor Travis has a strong passion to lead people in worship and create healthy leadership through high impact worship arts teams. Pastor Larry and his wife Jenny joined Freedom Christian as the Children’s Pastor in 2012. He previously served many years in Illinois, Minnesota, and Michigan both as young adults pastor and kids pastor. He has a heart to befriend the youngest generation and to strengthen the family as a whole. His greatest desire is to see children know Christ from a young age and serve God all the days of their lives. 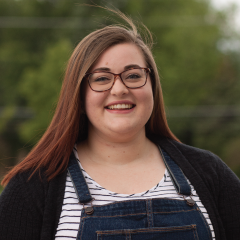 Pastor Sami joined Freedom Christian as the Children’s Pastor at our Washington TWP Campus in 2017. She is a graduate of North Central University with a degree in Children and Family Ministries. She has spent the last year as Children’s Pastor in Dearborn Heights. Her desire is to help every child build a firm foundation in Jesus Christ that will encourage them to keep growing in their own faith. Pastor Alex and his wife Lindsay joined Freedom Christian as the Youth Pastor in 2018. 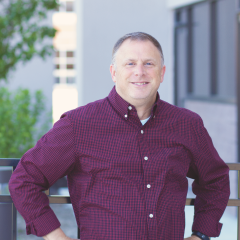 As a graduate of Northpoint Bible College in Grand Rapids, he brings a great deal of leadership and a huge heart to the way he leads the next generation. It is his heart to create a safe place for students to build community and have genuine encounters with the living God. It is his greatest desire to see students become fully devoted, lifelong followers of Jesus Christ. Pastor Chris and his wife Jenelle joined Freedom Christian as the Young Adult Pastor in 2009. He grew up in St. Clair Shores, Michigan, giving him a unique heart for the young adults of the Detroit Metro area. Through his highly relational personality Pastor Chris shows young adults how to embrace life with a missional approach as they transition through the early stages of adulthood. 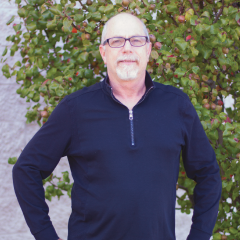 Pastor Cal and his wife Denise joined Freedom Christian as the Connection Pastor in 2015. 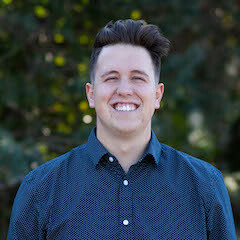 He has a passion for the church body to be connected, and brings a “better together” dynamic to Freedom Christian that makes life as a believer exciting and fun. He has a strong desire to build community through Life Groups and strengthen the lives of men.